Is Garcinia Cambogia Effective for Weight Loss ? In the age of globalization, the market is full of varieties of diet supplements that claim to lose weight and easy fat burning. If you want quick weight loss supplement, go for Garcinia cambogia; it is the people saying. There are lots of excitement and publicity regarding this Malabar fruit because of its fat burning aspect, diabetic cure and lowering of cholesterol in the 90s. It is sold either in pill or powder form. The normal doses lie between 250 to 1, 000 mg per day. One should take the dose before 30 minutes of a meal. More and more studies had published, which showed that the diet supplement caused weight loss in animal. However, there are many studies, which doesn’t favour weight loss concept of this fruit. In the article, content has been narrated from the research point of views. Garcinia cambogia for fast weight loss? It contains hydroxycitric acid (HCA), which seems to be effective for fat loss because of its working as an appetite suppressant. HCA prevents citrate lyase enzyme to convert carbohydrate into fat. This diet supplement discouraging longing of foods and simultaneously stimulate serotonin level, which further makes you lesser hungered. However, in real sense, the weight loss process is not so enthusiastic. Its popularity became pale after a study conducted by the Journal of the American Medical Association in 1998. As per some studies, it has been shown that Garcinia cambogia helps to lower down sugar level in blood. But its efficacy has to be proved. It also lowers cholesterol. It has also been found that the fruit lowers the bad cholesterol and increases the level of good cholesterol. Considered as a weight loss pill or snacks, the level of blood pressure decreases itself. • In some studies, liver problems are also observed. • One shouldn’t take Garcinia cambogia if taking medicine of diabetes. • Patients of Alzheimer’s, dementia should also avoid this. • Pregnant or breast feeding mother strictly skip this fruit. • Avoid the use of it in case of allergy. It’s the fruit of tropical region of about 200 species. The Malabar tamarind is common in the South East Asian region. It is also found in West and Central Africa. The size of the fruit ranges from grape fruit to orange with colour variation such as reddish, yellowish and greenish. In some parts of India, it is used as culinary purposes along with tamarind. 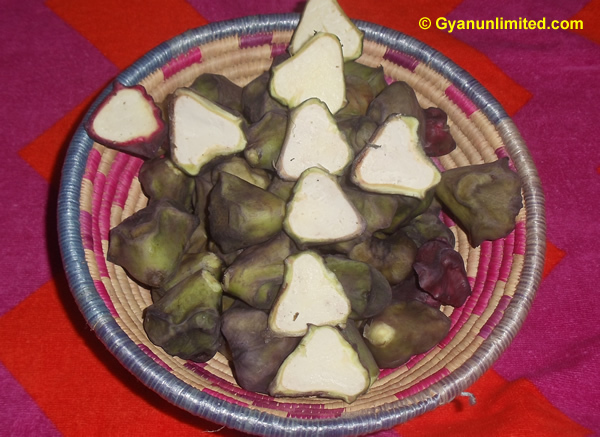 Various recipes can be prepared from the fruit rind and extracts of this fruit. These parts of the fruits are used as curry condiment in the South Asian region. It is one of the integral parts of sour curry. The coastal region of South India and Sri Lanka used this fruits and its components as fish curry. It’s a flavoring agent for curry, seafood, beverage and meat. More and more weightage has been given in Ayurvedic medicine of system regarding the significance of it.